Performing scenes from Barry and Don’t Trust the B— in Apt 23. 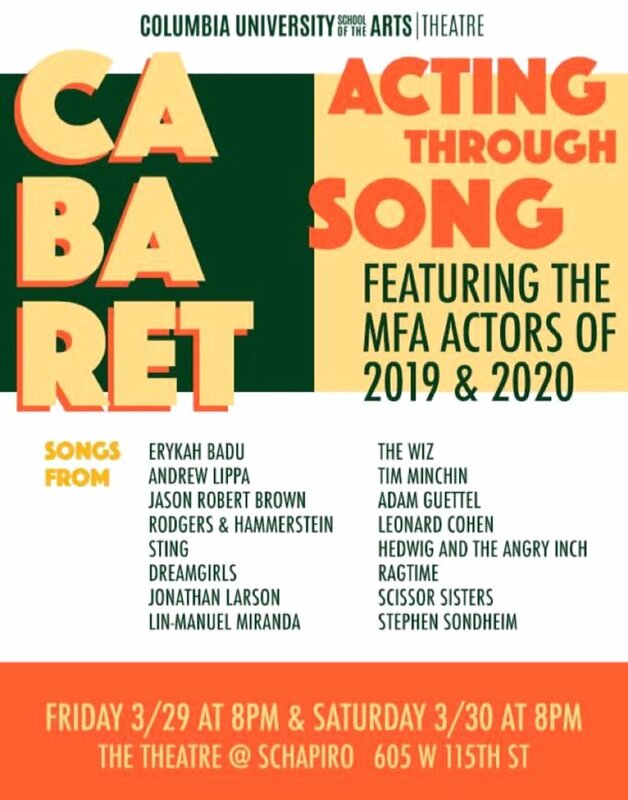 The 1st Annual Columbia MFA Cabaret! Free admission - Click here to RSVP!